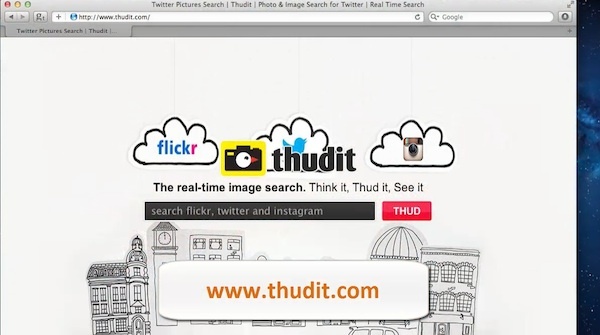 Go to www.thudit.com. That’s the page of free online service that helps you find pictures from Twitter, Instagram and Flickr users. Let’s say you want to search for pictures of famous Gioconda. Just type the search subject in the search field and click “Thud”. The next page displays you all search results. If you see the Twitter logo next to picture – then it comes from Twitter. In the upper par of the page there is a search field. If you need to search for another subject – type in the word there and click “Thud” again. Result: Congratulations! You have learned how to search for Twitter pictures.